Welcome to Adriana Torena, D.M.D., P.C. At Adriana Torena, D.M.D., P.C., our priority is to deliver quality care to informed patients in a comfortable and convenient setting in Fairfield. Dentals problems require a specialist you can trust to meet your needs, and get the best counsel on oral health. We are proud to state that our dentists meet these criteria. Plus, you benefit from a dedicated team of trained professionals who give you the individualized attention you deserve. Adriana Torena, D.M.D., P.C. believes that informed patients are better prepared to make decisions regarding their health and well-being. That is why we have included an extensive section on this web site covering the full array of topics associated with dentistry and dental diagnoses, treatments & services from complete smile makeover , cosmetic dentistry , dental crowns , orthodontics , & dental implants . You can learn more about dental care at our blog. The best care in the world doesn't mean anything if you can't access it. At Adriana Torena, D.M.D., P.C.,we strive to make our Fairfield office as efficient and convenient as possible. Included in these web pages is information about Adriana Torena, D.M.D., P.C. 's office, including our Fairfield location and maps , hours , insurance policies and appointment scheduling . You can even email a request for an appointment right here! In dentistry, a veneer is a wafer-thin layer of super-strong porcelain that convincingly substitutes for natural tooth enamel. 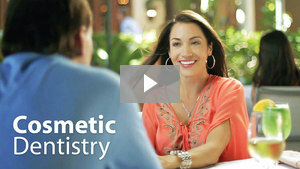 She graduated from the Boston University Dental School in 1995. She is a Fellow of the International Congress of Oral Implantology (ICOI) and participated in the MISCH International Dental Implant Institute Residency Program. Dr. Adriana Torena has been practicing in Fairfield and Great Bridgeport area, CT since 2001 and has her certification in Oral Sedation. "Visiting Allure Dental Group gives my family and me more reasons to smile."